Trainco has a reputation for providing students with a solid foundation in the trucking industry. When I took my CDL training course at Trainco I found this to be true. I was very impressed with the entire staff. The teachers have a relaxed and engaging style which is used to quickly build positive working relationships with all students. They have a lot of patience, but also know how and when to push a student, when patience is not what is needed. In the classroom, the information is communicated clearly and precisely. The teachers pull from their wide range of experiences to give us an idea of what to look for and what to look out for once we are out on the road. The joint knowledge, experience and aptitude of the staff at Trainco is what makes them an outstanding organization. I’m sure once you have met with them, you will agree with me. 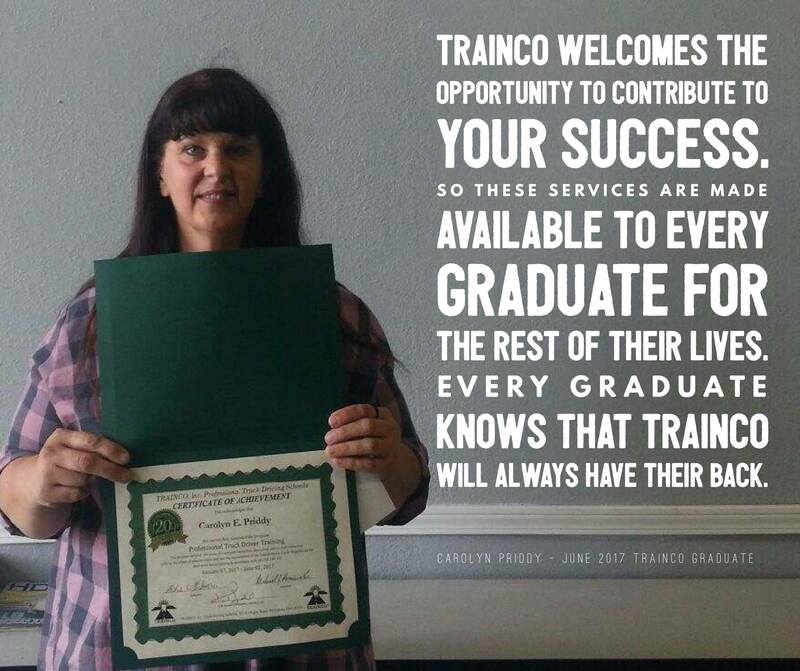 Trainco has an organized job placement program set up to help their graduates find the job that is best suited to their needs and skills. As part of this program Trainco has a full time job placement professional on staff. He schedules regular meetings with recruiters. He also works one-on-one with individual students to set up interviews. He maintains an updated job board, and much more. Trainco welcomes the opportunity to contribute to your success. So these services are made available to every graduate for the rest of their lives. Every graduate knows that Trainco will always have their back.